Since I’ve been noodling over the possibility of doing some self-publishing, I’ve also been asking the question, “Can a self-published writer still use an agent?” Based on what I’ve been reading, the answer is yes and here is why. Publishing is a legally complex business. 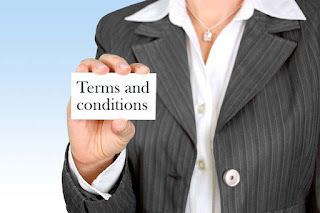 An agent is there to enforce your rights, whether they are haggling with a publisher over a contract or dealing with someone else, such as a website, who has infringed on those rights. You want someone on your side when the time comes to deal with legal mumbo jumbo. Agents are often essential for selling those “extra rights.” You may be perfectly capable of selling your e-book or self-published print book to a wide variety of readers, but what if an English language publisher outside of North America was to approach you? Or a film company? An agent is ready to negotiate these contracts. Agents know what is selling and who wants what. Agents deal with a wide variety of publishers. They keep up to date on industry news. Because of this, they often know what publishers are seeking because bookstores are asking for it. You want someone who can tell you that your idea for X will be an easier book to place in the hands of readers than your idea for Y. Editorial agents can help you bring your work into peak form. Many agents describe themselves as editorial agents. These are agents who will have something to say about your plot, characters and more and how to bring your book to the next level. Self-published authors can benefit from this service before taking their work to print. Agents can sell self-published books to traditional publishers. If you’ve had success as a self-published author, an agent can help you broaden your sales by taking your work to a traditional publisher. More and more, traditional publishers are accepting books that have found first found success in the world of self-published literature. Can a self-published author benefit from an agent? It depends. If you cater to a small, well-defined market, you may already be reaching everyone there is to reach. If you plan to only self-publish, they may not be interested in taking you on because they need to make a living representing you. They’re going to want to take you where the money is. That’s means that if you’d like to see your work find a broader audience and take your career in new directions, an agent is something even a self-published author might consider. Good advice, Sue! If a self-published author can land an agent (it may be a long shot but it does happen, like you said, when they see commercial success in a self-pubbed book) then why not? Or authors can hire a publishing attorney to help them with the subsidiary rights.